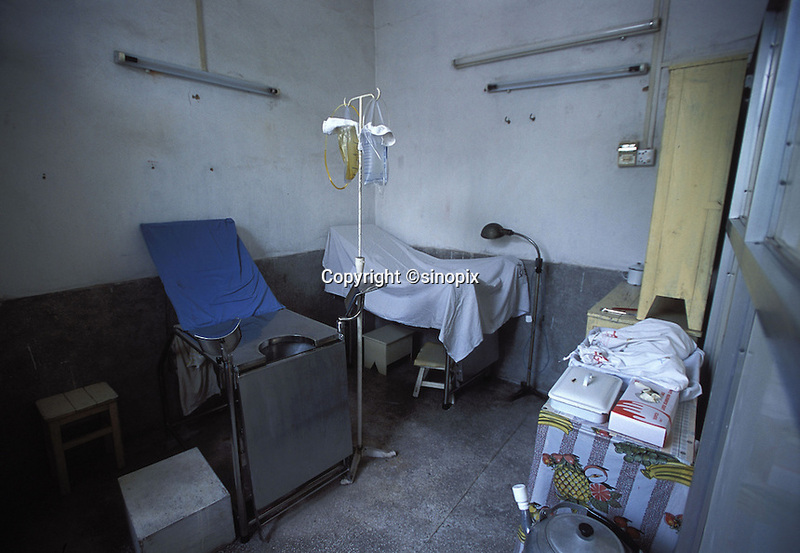 The abortion chair of a country clinic in Guangdong Province, south China. Forced abortions are commonly carried out by the Birth Control Unit on women that go "over quota" or break the law strict Birth Control laws in China. Recently riots broke out and five officials were killed in Bobai country in south China after forced abortions and fines were levied on the hapless population.